Climate Change is again this year the theme of the Humana Day. The goal in 2014 is to give the event a more local character, in order to bring it closer to citizens. Therefore, each of our offices is preparing its own agenda of activities, which mainly takes place during the week from 22 to 28 September. 'Our Climate, Our Challenge' is, again, the theme chosen. Various events will provide our partners, donors and customers of second hand shops the opportunity to learn more about Humana's work around the consequences of climate change and how we can together address the challenges posed by global environmental protection environment and development cooperation. Humana believes that together we can muster the strength to curb the effects of climate change. * Mitigation of the causes of climate variations, working on reducing emissions of greenhouse gases. * Improved living conditions of the communities involved in the projects. Humana's work dealing with the consequences of climate change is present in much of the cooperation projects that are carried out. 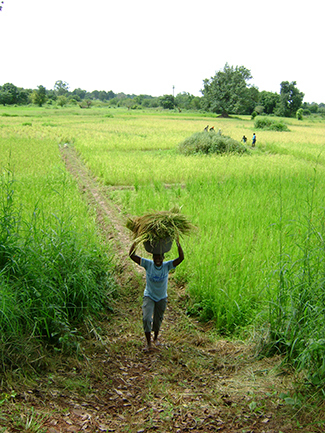 However, programs that reaches a larger are the Farmers' Clubs. 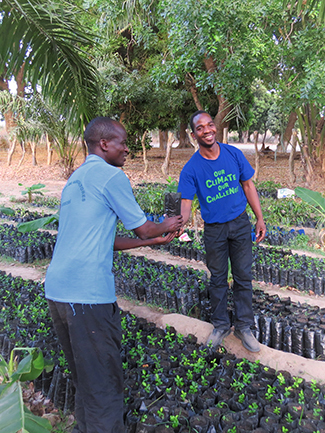 The organization works closely with small farmers, promoting training in sustainable agroforestry and conservation farming techniques that allow them to get bigger and better crops and more resistant to adverse weather conditions caused by climate change. This one works on the use of low-cost technologies, seed selection, the use of natural fertilizers, crop rotation or the addition of new species to have a greater variety of plant products. Humana encourages reducing, reusing and recycling through thousands of containers of used clothing collection through collaborative arrangements it has with municipalities and private entities. For every kilogram of textiles recovered and therefore not going to stop a waste treatment center to be cremated, allowed to emit 4.2 kg of CO2. In 2013, the number of organizations of Humana People to People collected over 121,000 tonnes of used clothing and shoes, thereby avoiding the emission of over 508,000 tons of carbon dioxide. The textile recycling therefore promotes environmental protection and economic and social development. Reusing clothes saves resources for the production of new clothes, reduces emissions of greenhouse gases and prevents million tons of textiles and shoes from ending up in landfills. The stores have become an essential part in the event: our local team will be key again in sharing with thousands of customers each day pass by them our work against the consequences of climate variations. In fact, several activities that is open to all customers who wish it are planned. Find out Humana Day activities through our social networks.